As international aid workers struggle to support survivors of Cyclone Idai in Mozambique, the staff of the Gorongosa National Park are working around the clock to save their neighbours. As rain continues to fall on Mozambique, where hundreds of thousands have been displaced by Cyclone Idai, park rangers are stepping up to help those in danger. Hundreds of rangers from Gorongosa National Park, located in the centre of the country in southeast Africa, are delivering aid to those in need and rescuing people stranded by the flood waters — sometimes from the top of six-metre-high termite mounds. The United Nations said Tuesday that Idai could be the worst natural disaster to ever hit the southern hemisphere. "There's more than a million human beings that are being affected by this … but there's just no possibility of getting to everybody," said Gregory Carr, director of Gorongosa National Park. 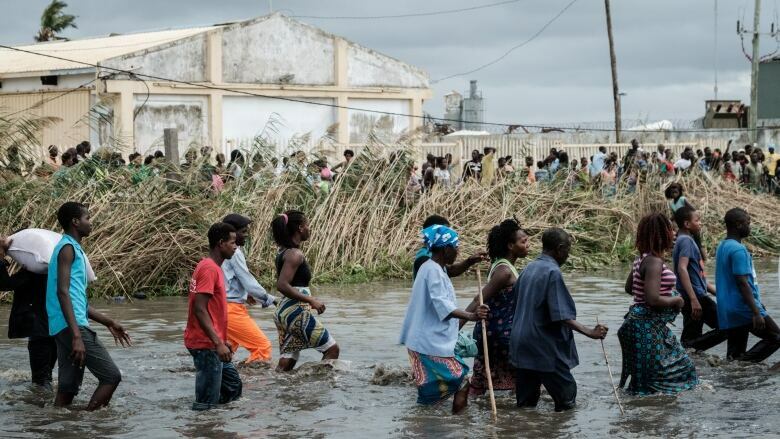 Since Cyclone Idai made landfall on March 14, aid workers say parts of Mozambique have turned into "inland oceans" with flood waters up to six metres deep. 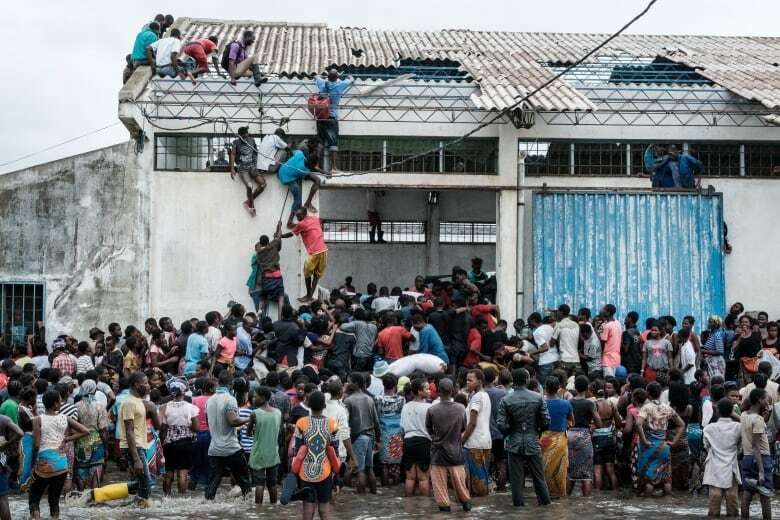 More than 500 people have died in Mozambique, Zimbabwe and Malawi and the death toll is expected to reach at least 1,000. It's estimated that 90 per cent of Beira — the fourth-largest city in the country and the hardest hit — has been destroyed. Roughly 136 kilometres from Beira, Gorongosa was in the direct path of the storm. Situated at sea level, the park received 500 millimetres of rain in just three days with winds up to 180 km/h. "The people who live around Gorongosa National Park are some of the poorest people in the world. They live in stick houses — there's no other way to describe it," Carr told Day 6host Brent Bambury. "First, the wind comes through and blows away their houses, but then the rain comes through and washes everything away." According to the national park's website, most major aid and rescue services in Mozambique are prioritizing flooded areas to the south. That's why park rangers have begun their own grassroots effort to rescue "neighbours," often wading through waist-deep water for hours or travelling in a single helicopter. "We'll use a big tractor to haul a boat to the river, get across the river, get supplies and then these rangers might walk 10 kilometres with 50 kilograms of supplies on their back," Carr said. Some rangers have reported seeing bodies floating in the water, adding the threat of disease to an already-dire situation. "At a time like this, you have to worry about cholera," Carr said. The concern for rescuers now is where to take those who are stranded. Schools surrounding the park are housing those affected, but with communication limited, Carr said park rangers are concerned the locations they take victims to may not have room for more — or have access to food or medicine. Still, Carr said, "what we're focused on right now is getting out to the people and we're just going to keep doing it night and day." While the effects of Idai are certain to last for months, Carr said Gorongosa National Park hopes to develop a long-term plan that would help protect areas surrounding the park from the worsening weather caused by climate change. Beira, in particular, sits partially below sea level and is susceptible to flooding. The natural path for rain that falls on Gorongosa is through the city to the Indian Ocean. Carr believes the development of a wetland corridor could help funnel that water away from areas that people live and into the ocean. "It really is rethinking our relationship to the natural world. A city shouldn't be built below sea level in the first place," he said. "We need to be doing some large-scale land planning in this era of climate change." Until then, Carr said his rangers are preparing for the worst, including the possibility of another storm in the coming weeks. "We're going to be resilient and we're going to just keep going," he added. "And, believe me, it takes some resiliency." To hear the full interview with Gregory Carr, download our podcast or click 'Listen' at the top of this page.